Best Security Apps for Android: After the invention of smartphones, people no longer use their phones only for making calls or sending text messages. Nowadays, smartphones are used to perform a variety of tasks like snapping photos, recording audio or video, booking tickets for rail travel or movies and even making payments to third parties via debit or credit cards. 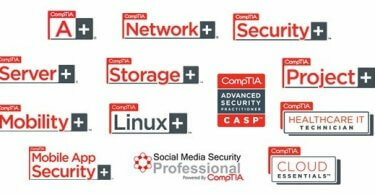 In addition to all these, we also use our phones to store sensitive data like video files, images, and even documents. But this era, where the threat of malware in ever growing, is it really safe to store such sensitive data on your smartphones? The answer is yes, only if you have proper security features in place to keep the data protected from online threats and malware attacks. Talking about the security of Android devices, there are thousands of third-party applications available now that claim to protect your device and the data stored in it from phishing attacks and malware. Choosing one of these top security apps for your smartphones can be a tedious task considering the host of features that these applications have in offer. To ease the task for you, we decided to check out some of the best security apps for Android available in the market right now and compile a list. Before we begin the list, it is worth mentioning that all the Android security apps have been tested by our panel of experts before being listed below. Also, these best security apps have not been ranked in any order of preference and it is up to you to decide which one you want to use on your device. 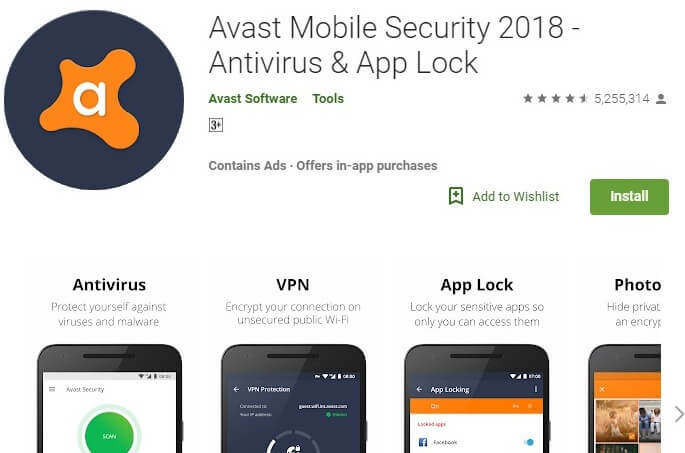 We begin our list of the best security apps for Android with Avast Free Mobile Security. As the name suggests, this app is free to download from Google Play store and boasts of some really advanced features which are usually not available for free. The app features thorough virus scanning, call and text filtering for malware, checking emails received for malicious links, reporting privacy issues of installed apps on your device and a firewall. This is one of the best security apps for Android available in the market right now and is also not demanding on the resources of your phone. 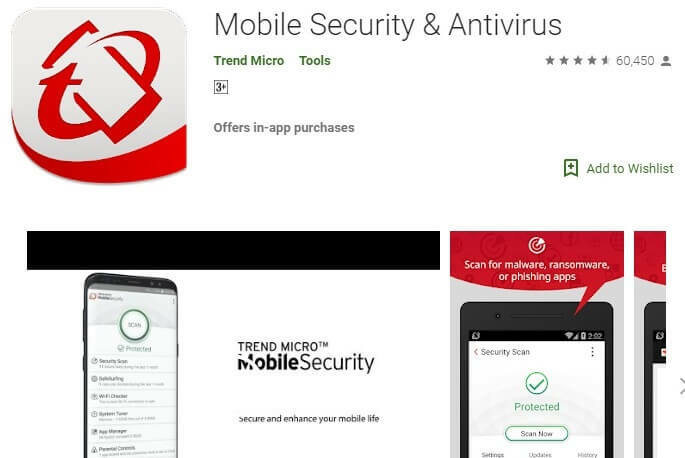 Next up, we have Trend Micro Mobile Security & Antivirus which is another solid option, when it comes to selecting the best Android security apps. This app has a malware detection rate of 99.9% and can protect your device quite effectively from viruses, malware and phishing attacks. Some of the great features of the free version include protection against phishing sites, privacy scanner for social sites like Facebook, URL scanner to block malicious websites and also some tools to increase your device’s battery life. It also features a “Just-a-Phone” tool that can be used to force close all idle apps running in the background. 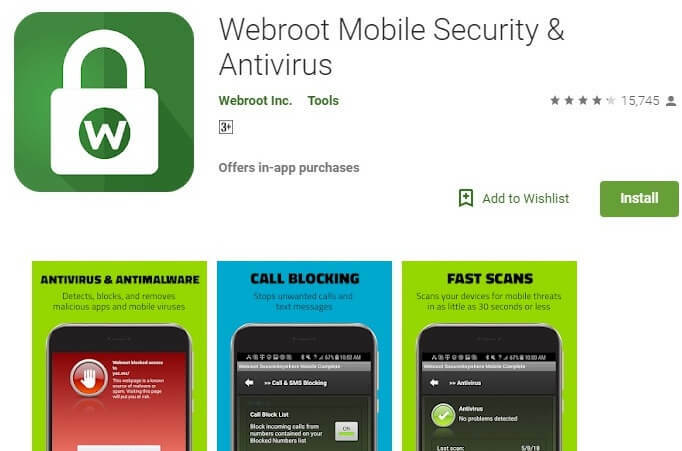 Webroot Mobile Security & Antivirus is a free application that can protect your Android device from ransomware, malicious websites and viruses quite effectively. Developed by the Colorado-based Webroot Inc, this free Android mobile security app can automatically scan the installed apps on your device for malware and viruses, provide real-time protection from fake websites that can trick you to reveal your personal details, block malicious websites and more. The app can also be used to block calls and text messages. AVG is one of the most trusted names when it comes to Antivirus software and is also one of the oldest in the business. 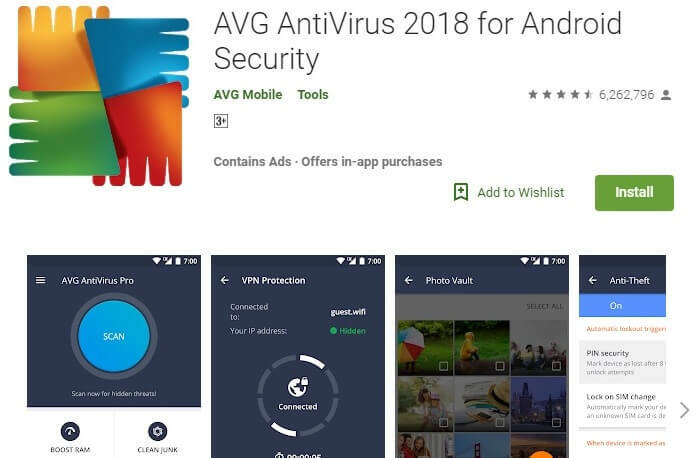 AVG’s version of Antivirus software for mobile devices boasts an impressive malware detection rate of 99.9%. The app is also very light on the resources of your phone and does not use too much RAM. 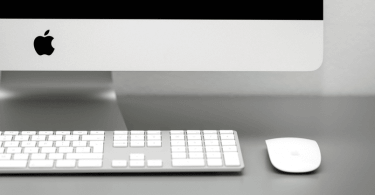 It quietly runs in the background to protect your device from malware and various online threats. Some of the other features of this app include a phone locator, app lock, photo vault to hide your personal images and a call blocker. It is available for free on Google Play store. It’s undoubtedly one of the best security apps of 2018, and you may consider downloading it if you wanna stay secured! 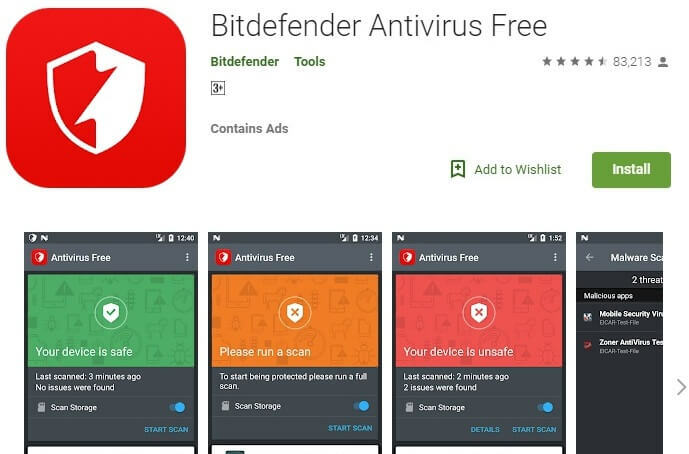 Developed by Romanian cybersecurity company Bitdefender, this free antivirus software for Android offers protection from all major online threats and malware. The app uses in-the-cloud scanning technology that does not use up the resources of your smartphone and offer super fast scanning functionality. It can automatically scan new apps installed on your device for malware, block malicious websites, prevent phishing attempts from fake websites and also detect and destroy viruses. There is also a paid version of the app that boasts of some advanced features like web security, anti-theft, and app locker. 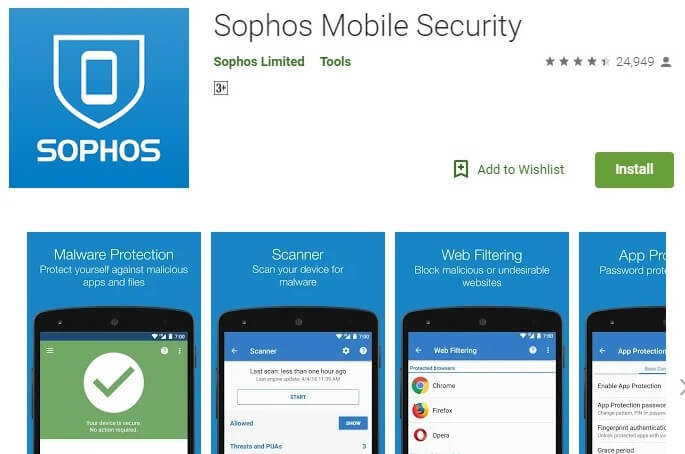 Similar to the other best security apps for Android devices, Sophos Mobile Security also offers effective protection against most viruses and malware and also prevents phishing attacks. This app has a malware detection rate of 100% which surpasses all the others mentioned above. The free version of Sophos Mobile Security offers a fast and effective scanning tool to scan recently installed apps, existing apps, and storage media files. Some of the other interesting features include loss and theft protection, app lock, web filtering and spam blocking from malicious websites. Security is of utmost importance these days when it comes to smartphones become most of us store sensitive data on these devices. This is why it is necessary to use a good security app to keep the contents safe and protected from threats. We guess, by now you have decided which one to use from our list of the best security apps for Android. This list will also get updated with new additions in the near future so if you know of any other app that should find a place here, let us know using the comment section below.